The graduate program CrossWorlds investigates the development of social processes in linked virtual and real social worlds from four complementary and interconnected perspectives. Figure 1 presents an overview of the four research areas. 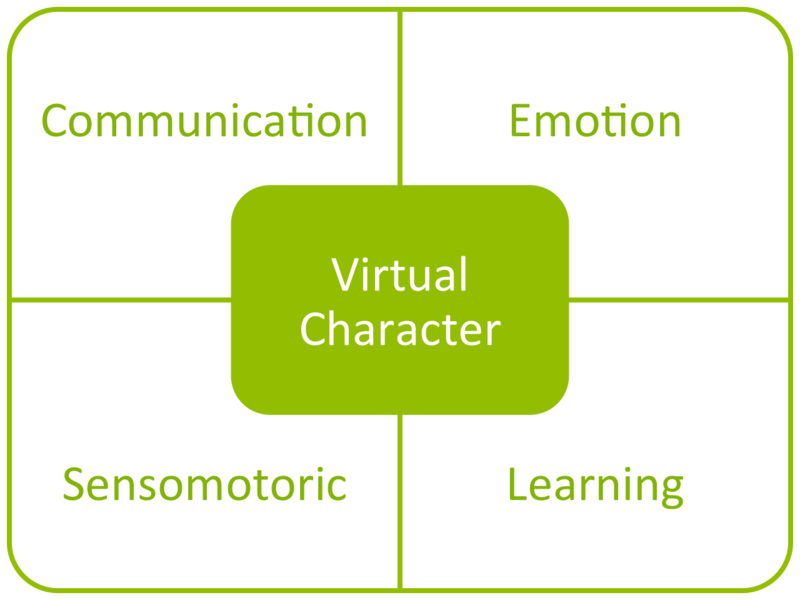 The presented research areas require interdisciplinary research that engages both the technological and the social aspects of social interaction within linked virtual and real environments. The academic infrastructure of Chemnitz University of Technology facilitates this interdisciplinary approach by contributing and joining expertise from communication science, media studies, philosophy, neuro- and cognitive science, emotion and social psychology, artificial intelligence, media computer science, technological computer science, and graphical data processing. To meet the necessity of interdisciplinary cooperation, each research area is being addressed within a vibrant network across the involved disciplines. The acquired qualifications within the graduate program provide an excellent fit both with working areas of applied technology in a leading position, for example the design of social interaction in computer games and natural interfaces, and consecutive research positions.